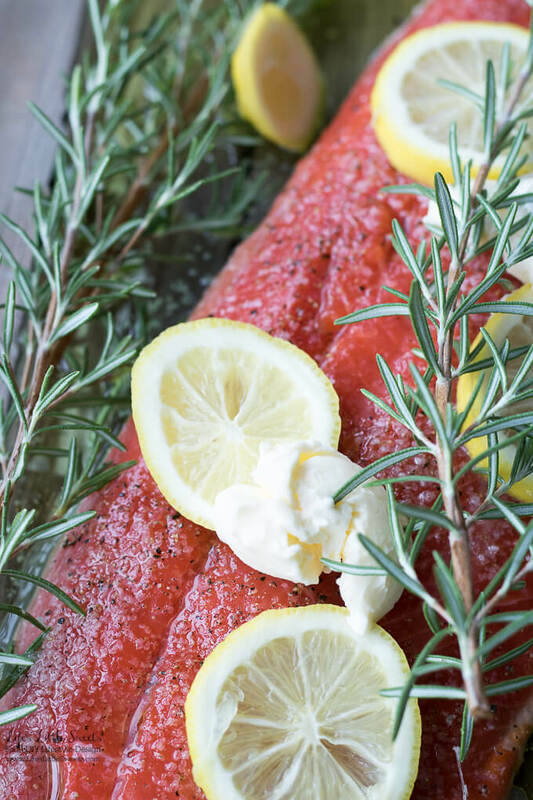 Hi Everyone, I love salmon recipes and this Lemon Rosemary Salmon is a perfect, Summer dinner. 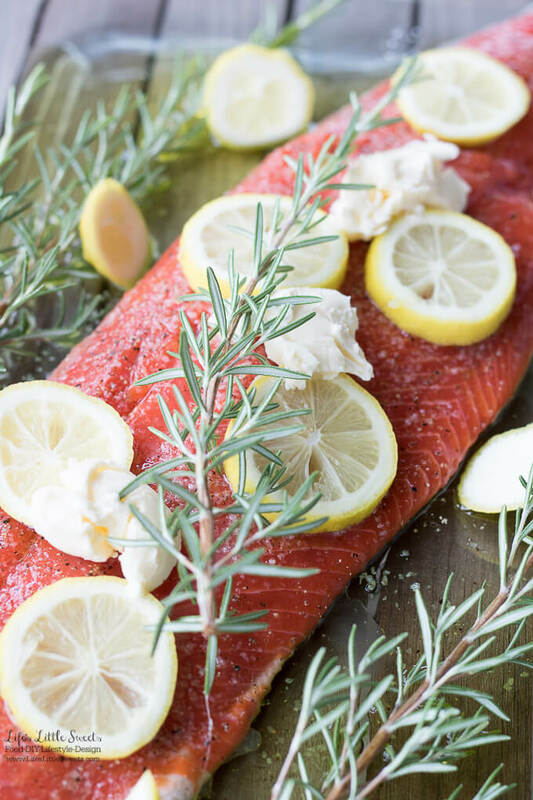 For this salmon recipe, I used Sockeye salmon which has a stronger flavor and is more lean. It also is more red in color. You can check out more of my salmon recipes here. 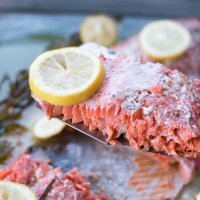 In the other posts I hve pointers and recommendations for choosing salmon. 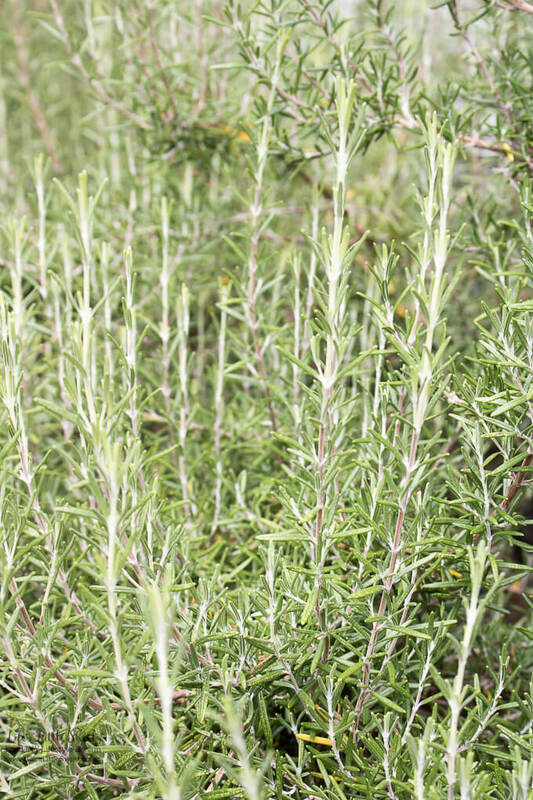 Below is a photo of the rosemary growing (very well!) at Eric’s dad’s beach house in LBI. 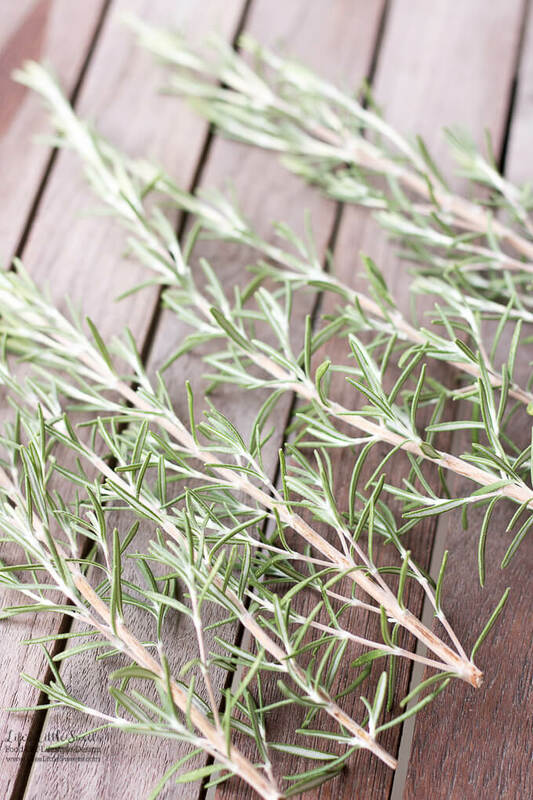 I used this rosemary in this recipe. The key is to arrange the lemon and the butter on top of the salmon, so that as it baked the juices and butter flow over the salmon. 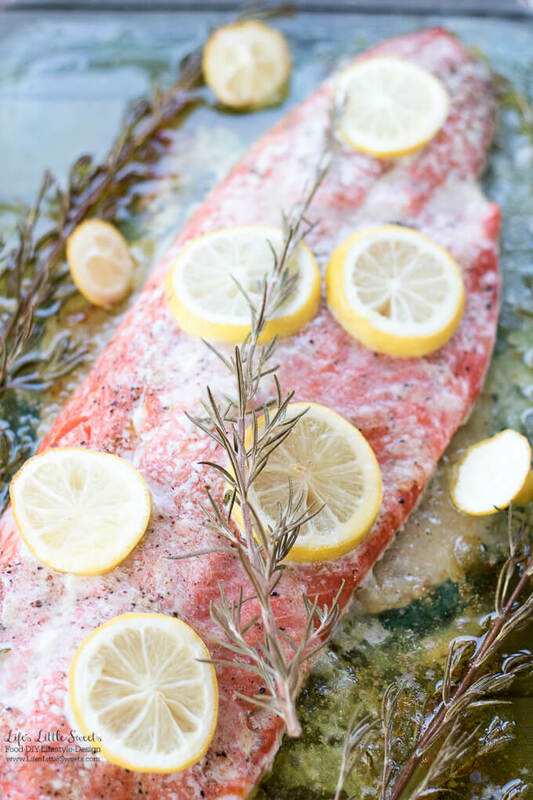 Lemon Rosemary Salmon before it is baked. I love this Lemon Rosemary Salmon with basic butter rice or any one of my side dishes here on LLS. If you are looking for a side salad, check out these recipes here also on LLS. 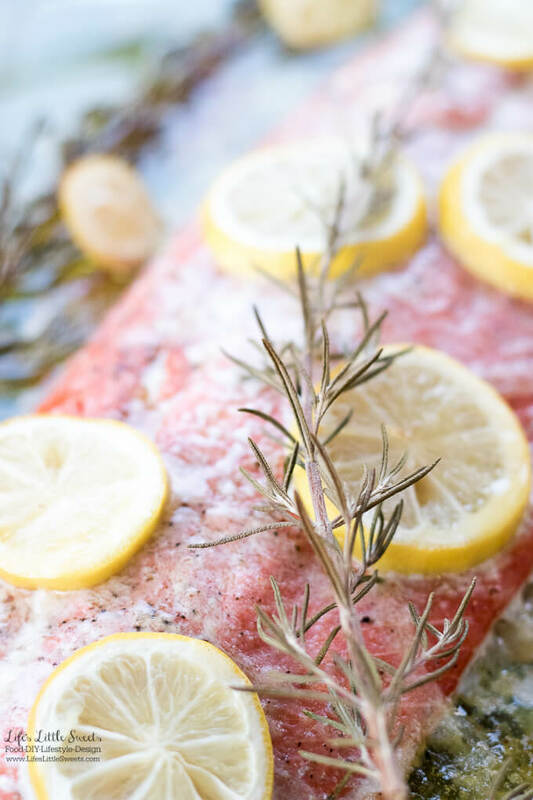 I know you will love this Lemon Rosemary Salmon recipe! Prepare the marinade with all the ingredients and coat the entire piece(s) of salmon in the marinade. You can do this right in the dish that it will bake in. Cover and allow to marinade for at least 1 hour or overnight. 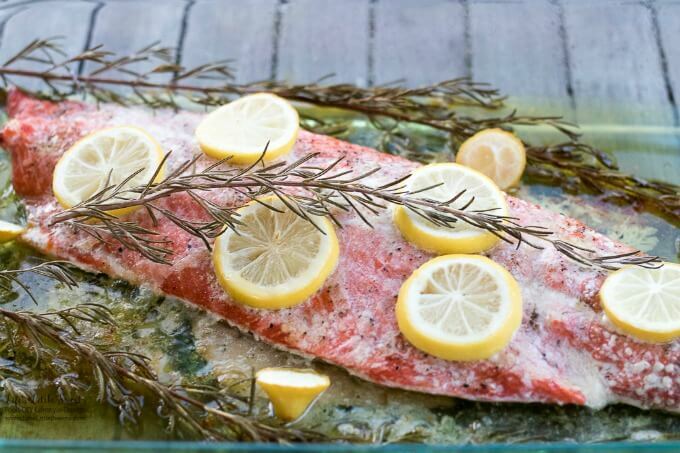 Arrange salmon with the lemon and butter on top so that when it bakes the lemon and butter coat the salmon. When it's done serve with your favorite side dishes and enjoy! 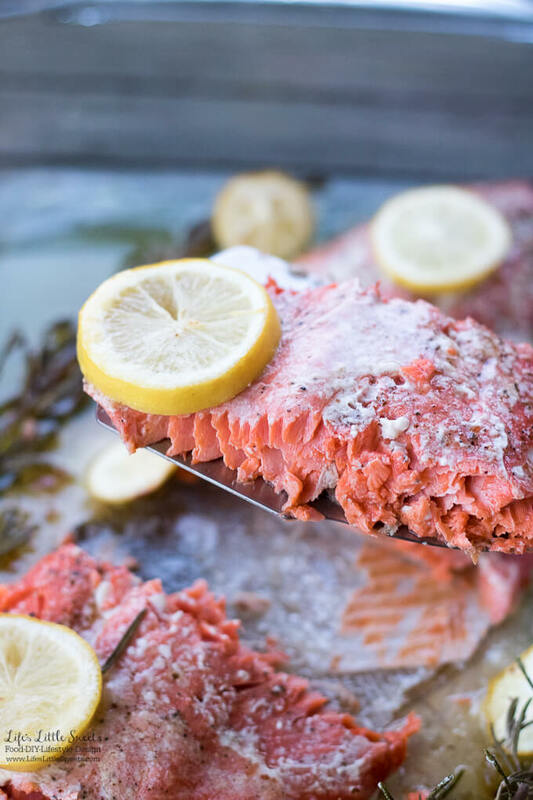 To test for doneness, the salmon should flake apart in the thickest part and surest way to make sure its done is using a meat thermometer: 145 degrees F internal temperature.